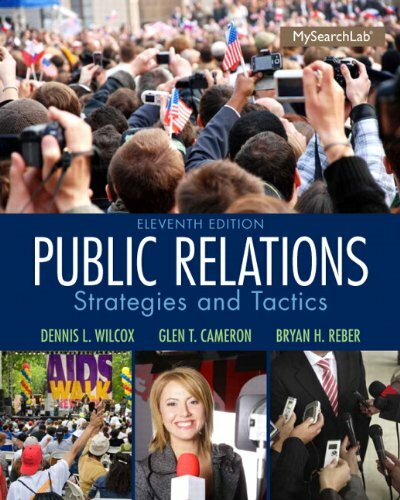 Public Relations: Strategies and Tactics uses real-world case studies and examples to explain the basic concepts and theory behind modern public relations practice. This comprehensive text is grounded in scholarship and includes references to landmark studies and time-honored public relations techniques. The writing is geared to undergraduates, and many colorful charts and photos are used to enhance major concepts. MySearchLab is a part of the Wilcox/Cameron/Reber program. Research and writing tools, including access to academic journals, help students understand critical thinking in even greater depth. To provide students with flexibility, students can download the eText to a tablet using the free Pearson eText app.